Today's low should have completed wave e of a triangle. Wave (v) to ~960 should follow. I labeled today's low as a wave (ii). 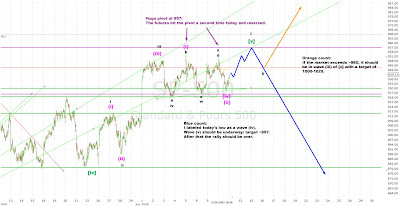 Wave (iii) started in the last two hours and should carry the market to 1000+.